I did the Gangnam Style in the jungle! 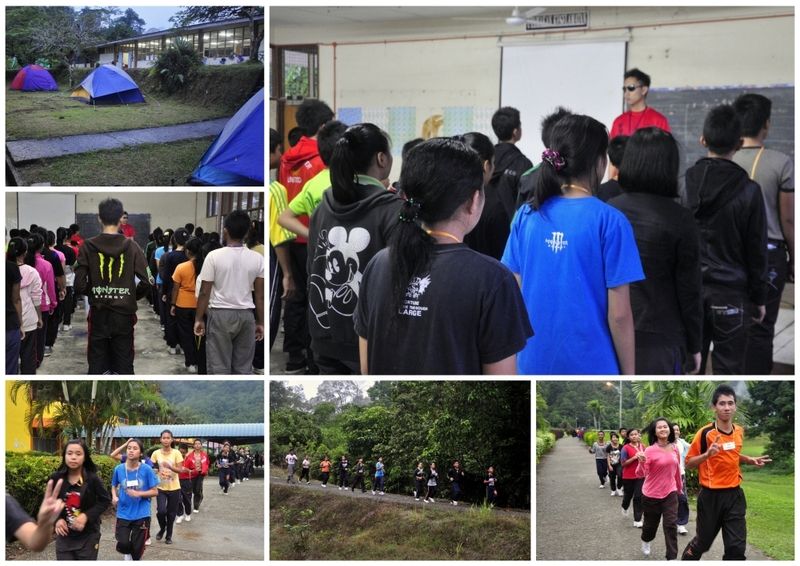 I did it yesterday morning during the Uniform Bodies Camp at SMK Katibas. When I was put in-charge of the morning exercises, I thought to myself... why not? After 1 week of practising every day to downloaded youtube tutorials in front of mirrors smaller than my belly, I made it happen. Believe me when I say, this dance is harder than it looks. Bloody hard. I'm not the most natural of dancers. So if I can do it, so can you. It wasn't a perfect rendition of the dance but I enjoyed it &, most importantly, the students enjoyed it. This was probably the first time most of them heard the song. Some of them even started shuffling at the horse-riding part! Now, where can I find cowboy attire? 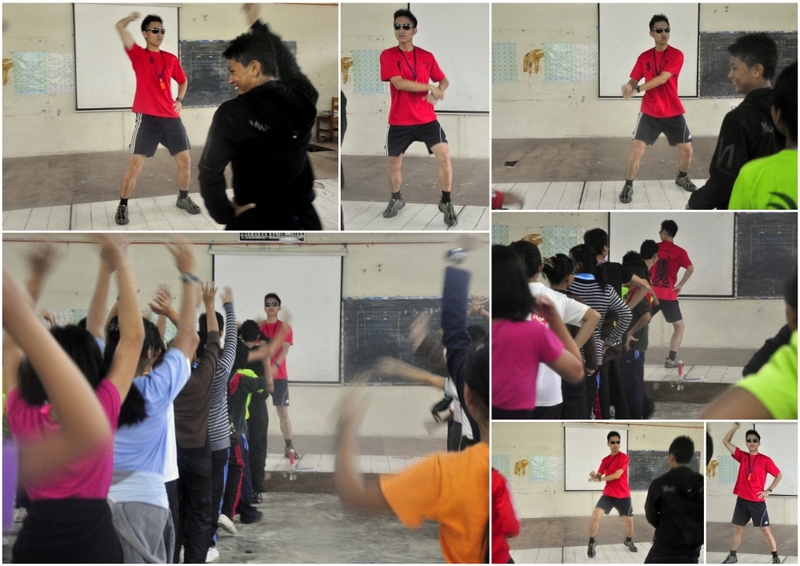 I embedded bits of aerobics to parts of the dance & simplified it to make it easier for the students to follow. Of course, I did not tamper with the signature horse-riding part: the best part of the dance. Honestly, I find K-Pop in general totally unpalatable mainly due to the Korean pride in man-made beauty & their over-reliance in beats & mixes in the songs. But, I really like Gangnam Style. I feel that it's fun & it doesn't take itself too seriously. A far cry from the overly stylised & sexual themes of the typical K-Pop. Still, I can't understand neither. There is an excellent translation of Gangnam Style here. Basically, Gangnam is a classy & affluent part of South Korea where the people are apparently mature & civilised during the day & yet crazy during parties at night. The song is about the search of a man who is has the Gangnam personality (civilised by day & crazy by night) for a woman who is similar to him. Check out more pictures on my FB page. Sorry, no video. I wouldn't want to embarrass myself to the whole world now, would I?